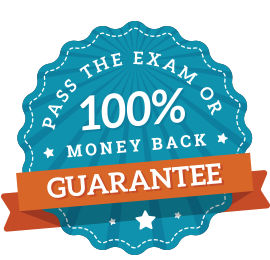 Examination Preparation | Institute of Safety & Systems Management, Inc.
We know we make great courses and are confident you’ll pass your exam. That’s why we offer a money back guarantee to anyone who doesn’t succeed. Now you can earn 3.0 CEUs awarded by the Florida Institute of Technology University Office of Continuing Education. This self-paced interactive course which covers all seven domains of the ASP exam, is updated according to the current Board of Certified Safety Professionals (BCSP) blueprint. These domains are: Mathematics (selected safety related calculations), Safety Management Systems, Ergonomics, Fire Prevention and Protection, Occupational Health Engineering, Environmental Management, and Training, Education and Communication. A section is also provided on Algebra and Trigonometry, which allows you to review the mathematics used to solve many of the technical questions on the examination. Study sessions provide a comprehensive coverage of the subject matter of each domain. The Q&A sessions contain over 380 questions covering all domains of the examination. You can measure your knowledge by taking quizzes in each domain and comprehensive exams covering all domains. This self-paced interactive course is organized into six sections based on the areas covered in the current Institute of Hazardous Materials Management (IHMM) examination blueprint. The course covers selected EPA, DOT and OSHA Regulations, Basic Chemistry, Scientific Principles and Applications, Fire Protection and Personal Protective Equipment, Toxicology and Radiation, and Management Practices for Hazardous Materials Management. Now you can earn 2.0 CEUs awarded by the Florida Institute of Technology University Office of Continuing Education. This self-paced interactive course will prepare you for the technical aspects of the American Board of Industrial Hygiene (ABIH) CIH certification examination, which includes Industrial Noise Control, Radiation, Ventilation, General Sciences and Statistics, and Heat Stress. The formulas which are currently on the ABIH Equation Sheet are thoroughly explained and followed by examples that demonstrate their application. Now you can earn 1.0 CEU awarded by the Florida Institute of Technology, University Office of Continuing Education. Please note: This course only prepares you for the technical aspects of the exam. You will need to independently prepare yourself for non-technical exam information.